Another one of the most unique tracks I’ve seen. 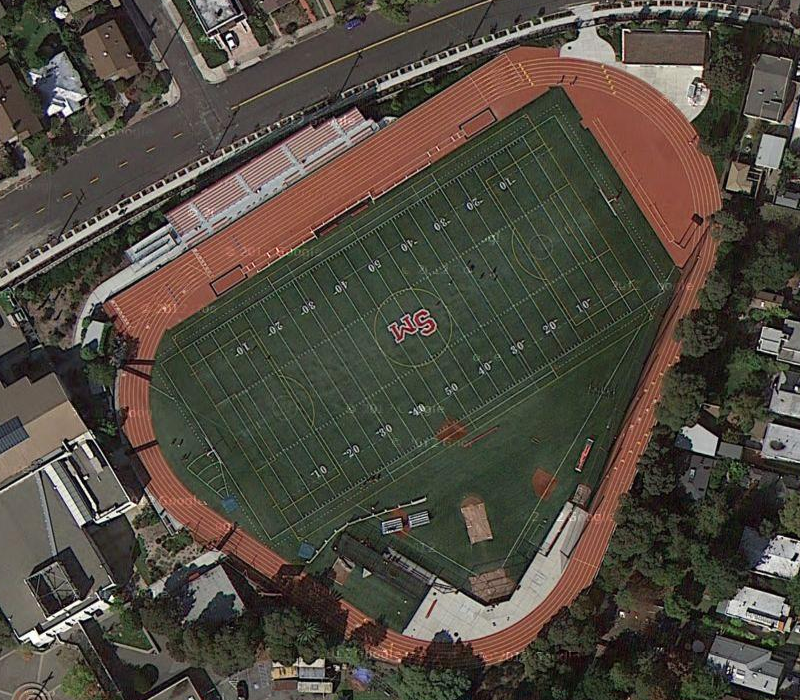 To get the full effect of what this track likes like, I’m showing both the overhead photo along with the 45-degree view. 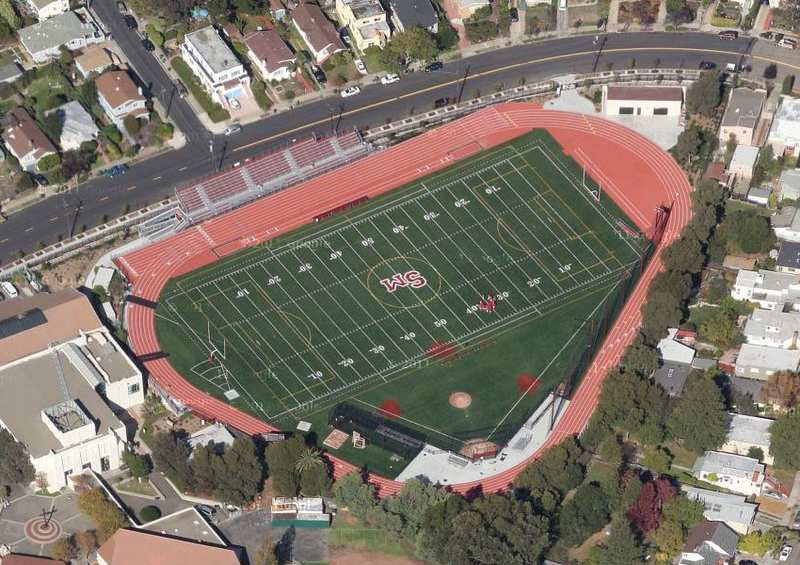 St. Mary’s College High School, is located in Albany, CA, which is right next to Berkeley This is the first track that I have ever seen that has three straights and three curves. When I initially found this track, I thought that this was obviously used for training only. But upon closer inspection, I noticed that there are lane numbers on the longer sided backstretch. And relay exchange zones are clearly marked as well, which leads me to think that the Panthers might possibly compete in this track as well. Obviously, this track doesn’t meet the standard size requirements, but could make for some unique races and something out of the ordinary. If anyone has any more information on the facility and how it’s used for track, please comment below.